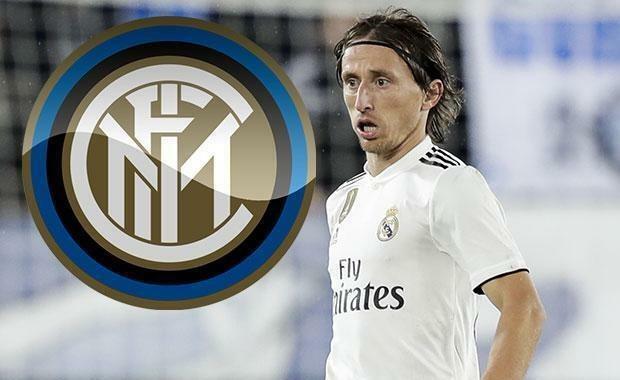 Inter Milan could revive their interest in Luka Modric, but a deal depends on Real Madrid bagging Neymar or his Paris Saint-Germain pal Kylian Mbappe, reports claim. The Croatian World Cup finalist was a target for the Serie A side after a brilliant tournament in Russia. But Italian outlet Corriere dello Sport reckon Inter verbally agreed a deal with the 33-year-old but failed to thrash out terms with the European champions. Now Inter are ready for another tilt at Modric in January. But Real president Florentino Perez could give the deal the green light if he can prize the ex-Barcelona attacker or the French superstar to help placate the Bernabeu faithful. Real were forced to make a public statement to deny interest in the PSG pair after the World Cup, but they are still prepared to snap up one of them if the opportunity arises. World Cup winner Mbappe has continued where he left off in Russia, smashing 14 goals in just 11 starts for the Ligue 1 champions. Neymar, who had a poor World Cup with Brazil, has hit 13 goals in 11 games. Real are struggling to replace the goals and match-winning performances of Cristiano Ronaldo and Perez is desperate to sprinkle some more stardust on his squad. Los Blancos have made a poor start to the post-Ronaldo era with three defeats in their last four games and no goals – their longest scoring drought since 1985. Under-fire Boss Julen Lopetegui will be hoping to put their poor run to bed when they face Levante at home on Saturday.